G Satheesh Reddy is also the Defence Secretary and Director-General of DRDO’s aerospace arm Aeronautical Development Agency (ADA) in Bengaluru..
BENGALURU: State-run Defence Research and Development Organisation (DRDO) Chairman G Satheesh Reddy is the joint winner of the 2019 Missile Systems Award given by the American Institute of Aeronautics and Astronautics in the US, said the Virginia-based aerospace technical society on Sunday. “Reddy was selected for his over three decades of national contributions to indigenous design, development and deployment of diversified strategic and tactical missile systems, guided weapons, advanced avionics and navigation technologies in India,” said the society in a statement. Mr Reddy, 55, is also the Defence Secretary and Director-General of DRDO’s aerospace arm Aeronautical Development Agency (ADA) in Bengaluru. Mr Reddy contributed to the Agni-5, the 5,000km range surface-to-surface, long-range strategic missile. The other winner of the missile award, Rondell J. Wilson is the retired principal engineering fellow of Raytheon Missile Systems in Tucson, Arizona. “Wilson was selected for his technical leadership and innovation that has advanced the performance and capability of the world’s premier missile defense systems,” said the statement. Though the award will be presented at the society’s Defence Forum on May 7-9 at the Kossiakoff Centre at Johns Hopkins University Applied Physics Laboratory in Laurel, Maryland, Mr Reddy will receive his award in India. “The award also recognises excellence in developing on implementing missile system technology or for inspired leadership of missile systems,” said the statement. The society presents the award biennially to those who demonstrated expertise in fundamental technical disciplines that has led to substantial improvement in missile systems. The society also awards those who led a major programme milestone by a state-run agency or an industry team. With about 30,000 individual members from 85 countries and 95 corporate members, the society brings together industry, academia, and government to advance engineering and science in aviation, space, and defence. As Director-General of the Missiles and Strategic Systems, Mr Reddy spearheaded Dr APJ Abdul Kalam Missile Complex and other labs in Hyderabad. As the chief architect of advance missile technologies, Mr Reddy also contributed for design, development and deployment of diversified missiles and strategic systems, guided weapons and avionics. 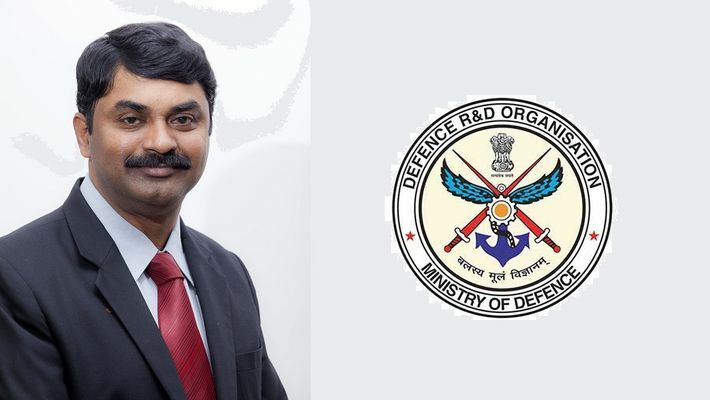 “Under restrictive international control regimes, Mr Reddy evolved strategies for indigenous design and development of advanced avionics and paved the way for inducting a range of missiles and smart guided weapons,” DRDO said in a statement here. Mr Reddy joined in 1986 the state-run Defence Research and Development Laboratory (DRDL) in Hyderabad and later joined the Research Centre Imarat (RCI), the brain child of former President Kalam. After graduating in engineering from Jawaharlal Nehru Technology University (JNTU) at Anantapur in Andhra Pradesh, Mr Reddy did M.S. and PhD, from JNTU in Hyderabad.